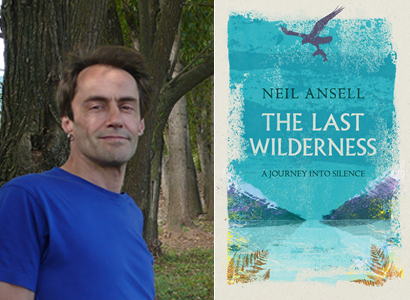 Join us for an evening in the company of Neil Ansell as he talks about his new book The Last Wilderness – a mesmerising book on nature and solitude by a writer who has spent his lifetime taking solitary ventures into the wild. In The Last Wilderness the experience of being in nature alone is set within the context of five solo journeys that Neil Ansell takes into the most remote parts of Britain, the rough bounds in the Scottish Highlands. He illustrates the impact of being alone as part of nature, rather than outside it. As a counterpoint, he also writes about the changes in the landscape, and how his hearing loss affects his relationship with nature as the calls of the birds he knows so well become silent to him. This is a book that will make you question your place on the earth, and make you want to grab your walking boots and head for the hills! Neil’s previous book, Deep Country: Five Years in the Welsh Hills is a ‘Booka Classic’ and continues to be our bestselling nature title. We look forward to welcoming Neil to Booka to share his experiences in the first of our ‘Great Outdoors’ season of events. Tickets: £6 (£5 redeemable against a signed copy of The Last Wilderness). Includes a glass of wine / soft drink on arrival. Tickets available from the bookshop, or purchase online (with booking fee).